Cannery Row is a historic area of Monterey. There is often fun activities and events that are held in the area for both locals and visitors alike to enjoy. 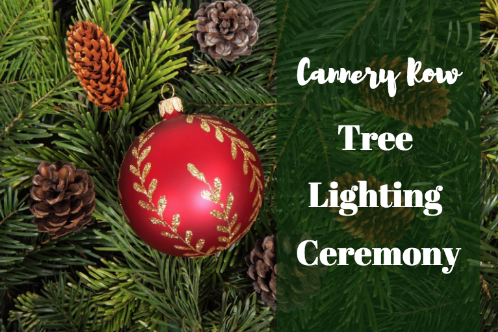 This year, enjoy the annual Holiday Tree Lighting ceremony on Cannery Row! There’s no better way to kick off the holiday season than by going to a community tree lighting in Monterey Ca. Read on to learn more about this year’s Holiday Tree Lighting on Cannery Row near Ramada Limited Monterey California. This is a FREE event that open for all all to enjoy. Bring down friends and family to this fun event featuring exciting entertainment. The event will begin at 5pm and will run through 0pm. From 5-8:30pm enjoy a variety of free holiday entertainment such as listening to Christmas Carolers sing classic holiday songs and even visiting with Santa’s Reindeer! Stop by the Steinbeck Plaza to hear the christmas carolers and if you want to snap a picture with Santa’s Reindeer, you’ll want to head over to the Bubba Gump Plaza. Enjoy the holiday entertainment but be sure to be at the event by 5:45pm because the tree lighting ceremony will begin promptly at 5:45! From 6pm-9pm, the big man himself will make an appearance. Gather your kids and have them visit with Santa Claus. This is a perfect opportunity for your kids to him what is on their wish list and to get the perfect holiday picture. The Cannery Row Holiday Tree Lighting Ceremony will take place on November 24th from 5pm-9pm along Cannery Row. The Christmas tree festivities will be centered around 700 Cannery Row, Monterey, CA 93940. There’s no better way to get ready for the Holiday season than by attending an annual tree lighting festival. This year, don’t miss out on this exciting and festive event! Mark your calendars today.